A clear message from PEBSS’ Workshop was that the growth of dockless operators has meant that authorities and operators face regulatory and business model dilemmas. These headaches add to the growing problems with urban mobility, how to use public space, and the extent to which a sharing economy model can truly provide answers. For authorities, dockless operators can offer mobility ‘free’ of charge, compared to the high capital costs of docked schemes. The appeal of mobility for citizens with minimal cost for public funds is obvious, but in some cases, misses a ‘hidden’ cost of dealing with illegally parked, vandalised or dumped bikes. From a regulatory perspective, it remains unclear how much power authorities have to prevent the launch of dockless operators. The current norm is that bikes are only removed after they are found to be causing a public obstruction. For operators, there is a division between docked and dockless schemes, and the regulation of each. Questions remain from both sides over the fairness of a first come, first served approach by cities which can prevent a diverse and competitive bike-sharing industry. It is also interesting to see how both models claim to have features of the other, either using geofencing to create virtual stations or using hybrid docked systems. Inline’s keynote speech at the PEBSS conference discussed the lessons to be learnt from two other sectors within the sharing economy, the short-term accommodation and ride-sharing sectors. Think Uber and Airbnb. Whilst these sectors bring dynamism to the EU’s Single Market and redefine how we move and consume, they also bring responsibilities for all involved. Looking at short-term accommodation and ride-sharing, part of the reason that these sectors have had regulation thrust upon them is the lack of a unified approach from platforms within the sector. Another is the approach taken by regulators to manage them. With each side, there is a responsibility to act proactively. For platforms, responsibility means working with authorities, holding dialogues ahead of launches and considering how platforms can integrate into existing regulatory norms. Failure to take the initiative risks a boom and bust effect, whereby businesses, authorities and ultimately consumers enjoy rapid growth but end up dealing with a much harsher fallout. Bike-sharing operators would do well to learn from the hard-and-fast approaches of some ride-sharing platforms, where operations have been forced to desist by the court rooms of the UK or legislation in Australia. An example closer to home for bike-sharing is in Melbourne, Australia where authorities have reacted strongly against dockless operators, claiming that operators had not consulted them ahead of launching. This has led to a tense relationship with authorities and the scrapping of some dockless bikes. Meanwhile for authorities, there is a need to act with foresight and to avoid kneejerk reactions. An instinctive response not only stifles innovation, but can lead to regulatory fragmentation and competitive distortions between regions. For example, the reaction to short-term accommodation platforms in certain EU cities has led to a piecemeal regulatory landscape. This limits scalability for platforms within the Single Market, but can also cause competitive distortions from one region to another. We can already see signs of distortions with bike-sharing with a ban on dockless operators in Amsterdam, whilst elsewhere in the Netherlands operators have launched successfully. Acting before engaging in dialogues between market participants risks the same mistakes being made as other sectors in the sharing economy. This is especially true given signs of regulatory fragmentation between Member States. A European bike-sharing operator launching today would have to conform to London’s Code of Conduct, deal with Paris’ proposed tax on operators, pay Manchester a fee to operate in the city, and would be barred from launching in Amsterdam. Further to this, at EU level, politicians are aware of the risks of a poorly regulated sharing economy and will be less tolerant with aggressive market expansion. A 2017 EU Parliament report led by socialist MEP Nicola Danti, cautioned against patchwork responses in regulating the collaborative economy at a national level, and how this could be against Single Market principles. Considering this growing awareness, failing to act proactively risks dealing with a frustrated EU political community. If the sharing economy can inform us of the responsibilities of authorities and operators, experiences outside the European bike-sharing sector can inform us of how it should be regulated and how to solve some of the remaining dilemmas facing authorities and operators. Taking a top down approach, China has achieved a remarkable level of regulatory consistency across its cities and provinces. This is in part thanks to guidelines issued by the Chinese Ministry of Transport which gave extensive recommendations to local authorities, covering deposit schemes, insurance, geofencing and quality standards for bikes. This approach offers the benefit of regulatory consistency with some flexibility at a local level. For example, Xian has been innovative in requiring operators to give 30 days notice if they intend to cease operations, whilst at a national level consistent rules allow scalability. The regulation of dockless operators in the USA has taken a different course. Instead of national guidelines, cities and states have taken their own initiative to manage dockless operators. 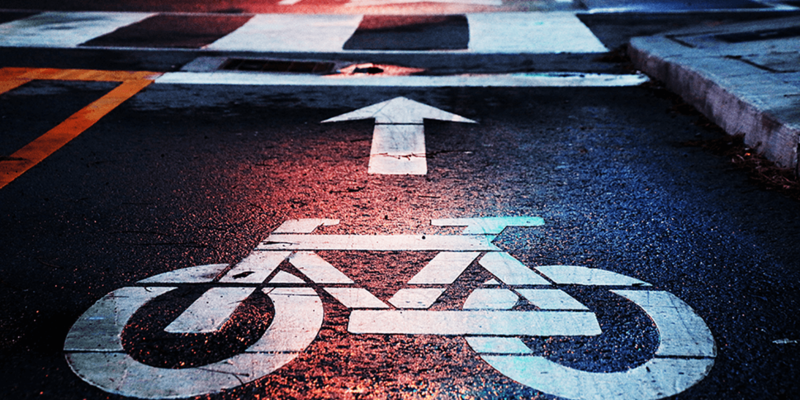 A recurring model has seen a combination of pilot schemes and operating licences issued, where operators have initial bike numbers limited, and increases have been subject to review by local authorities. This has allowed authorities to control the gradual integration of bikes, allowing for communities to adapt without facing a sudden influx. In Singapore, operators approached the Land Transport Authority (LTA), proposing a dialogue which led to the signing of a Memorandum of Understanding. This proactive approach has led to positive work such as the development of an app for citizens to report illegally parked bikes, and the integration of 30,000 bikes into a population of just under 5.5 million people. The bike-sharing sector is one of the latest disruptive sectors to emerge within the sharing economy, but it is far from the first. There are clear lessons to be learnt from the short-term accommodation and ride-sharing sectors, namely the responsibilities of authorities and operators to act proactively. In this context, the bike-sharing sector should seize the opportunity to ensure regulatory clarity and consistency in a manner which allows bike-sharing innovation to flourish. It is crucial to avoid a patchwork of regulations which can limit authorities and operators alike. Global responses to bike-sharing provide ample examples of how to proceed, it remains to be seen which model the European bike-sharing sector decides.